The way you take it! I would like to tell another inspiration which I had experienced in my life. As my daily habit of taking a jog at park in the evening. There are very interesting people around you. Few people smile back some greet as they know me by seeing daily. I never chatted with anyone there. One fine day while taking jog at park I found one interesting guy. He is in his early 20’s . I was tired after 10 round of Jog found a bench and sat next to the particular person. I just greeted him and sat next to him. I was just relaxing myself on the bench. I felt like I need to talk to him and introduced myself and so he did back. There was so much sadness in his face. I further gone ahead and stated to inquiry about him. Then he started his story. He have job to distribute Newspaper in the morning, in the evening he will at any crowded area and distributing pamphlets. Well at that moment there was big question in my mind that such a waste of young energy. I asked him “Kiran don’t you go to college?” There was slight sad smile on his face. He explained that he was a School dropout. Previously he worked at a small hotel as waiter and now he is distributing paper. He is daily income is Rs. 200- 300. “I live alone here came to earn money, my mother and sister who is still studying, both stay at village. Because of my father death our small farm taken away by the people who lend us money. We have no money to repay back even though it is not huge” I felt tears in his eye. It was obvious that he came to earn money but my question was why did he left his previous job he could have continued that and could have earned good money and asked so. I was really impressed by the person I met unexpectedly. I always thought I am the only one who struggling in life. By listening to this person I felt that the happiness in nowhere it is inside every one of us. We need to learn to get satisfied what we have and never lose the hope. Optimism in life is important, when you add hope to it then there is nothing can stop you from achieving your goal. 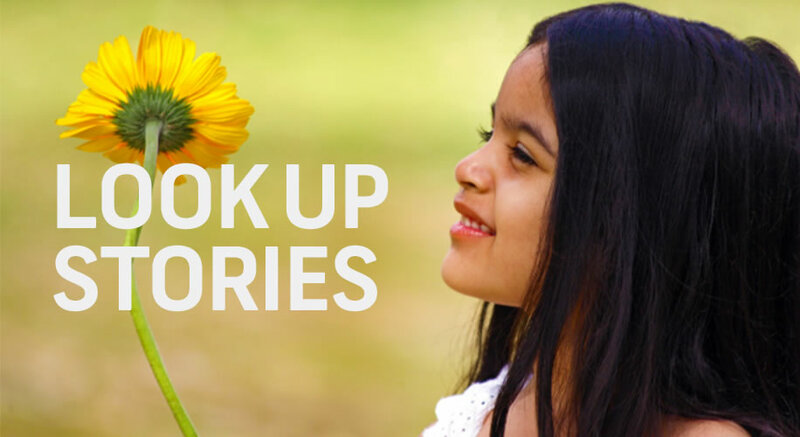 Always #lookup in life.